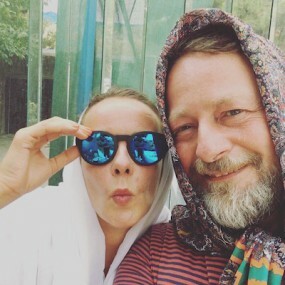 It is a moment ago but end of July 2018 Zuri Maria Daiß and Oliver Baurhenn made a trip to Iran to SET Festival. A festival for experimental music that happened for the 4th time in 2018. They hooked up with CTM and together we commissioned two new works with mixed Iran and Germany based artists. That can followed on other media. In this radio show Zuri and Oliver used the facilities of the first legal internet radio in Iran BESHKNOW to meet some new friends and a not to be missed fashion designer KOUK - SHOL.